Interested on what steps you can take to insure your valuable data is secure. This article will show you how Sophos can help. Data protection is a service that is always ideal for every business in order to help in securing your data from the effects of viruses and spyware. As a result of the high demand of data protection in various sectors, there are lots of data protection software that have been introduced in the market. However, not all of them can effectively help you to secure your data. One of the best that you should always rely on is Sophos. This is an ideal service provider that is recommended for both small and mid-sized businesses. Besides, it is well equipped with the best software and technical support to ensure that your datacenters are well protected against the threats of viruses. Choosing Sophos is a bold step that you should consider taking in order to avoid being a victim of malicious software that may corrupt your data. One of the benefits of choosing this service provider is that you can always have the blocking and scanning of viruses, Trojans and spyware conducted at the source making it very reliable. 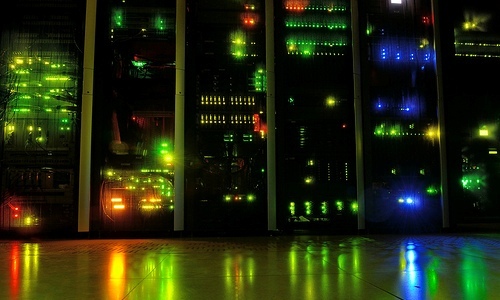 This further means that your datacenters are offered protection of the highest levels. Whenever you choose Sophos for the protection of your datacenters, there are several benefits that you are bound to acquire. Below are some of them. You will be able to offer your clients the ultimate protection against the threats of known and even unknown Trojans, spyware and viruses. Sophos have got proven APIs that will enhance the integration of the best anti-virus and spam technologies into the infrastructure that you are currently having in the business. This will even make it much easier for you since you will not need to keep monitoring the infrastructure for threats since they are automatically erased once they show up in your systems. With Sophos, you will be able to reduce the exposure of your website to other sites that are already infected with viruses. Data protection is yet another benefits that you are bound to get whenever you choose Sophos. Your employees will always feel secure when working on your data no matter how small the resources may be. There are so many things that you can achieve with Sophos in terms of data center protection. The software offers ideal solutions for use in the protection of the virtual servers that you have in the data center. Virtualization is a great technology that you can easily adopt for your data center. It is an ideal platform that you can use in data center support. Having a virtual server in your infrastructure will not only offer cost benefits but also enhance the functionality of your data center without the fear of threats of spyware, Trojans and viruses. This will mean that you will have an edge when it comes to the safety of your files. Sophos can be used in offering protection to all the hardware that you are using in the data center including desktops, laptops among others. Besides, it can also monitor the exchange of emails between you and clients to ensure that your systems are safely guarded from viruses. The software secures a variety of operating systems including Linux, Windows, Mac and even systems in the data center that have been virtualized against malware. In fact, it also keeps at bay any malicious threats to ensure that your data center is not threatened in any way. Sophos assists you to have better control over web usage, applications and devices in the data center. Besides, it is easy to install into the system, manage and also use thereby saving you money and time. With it, you also get unlimited support 24/7 to ensure that your data center is protected at all times. It is therefore a high time that you went for the best data protection in order to have that peace of mind knowing that your data are well secured and you can have access to it at any time. This article was written by David Williams who has over 17 years of experience working in the IT field. His business can be found at http://www.keyspace.com.au/ which provides a plethora of IT security services to small to medium sized businesses.